Below are some of the most commonly asked questions that we get that are related to our Bus and Coach Charters. WHAT DOES IT MEAN TO CHARTER A COACH OR BUS? 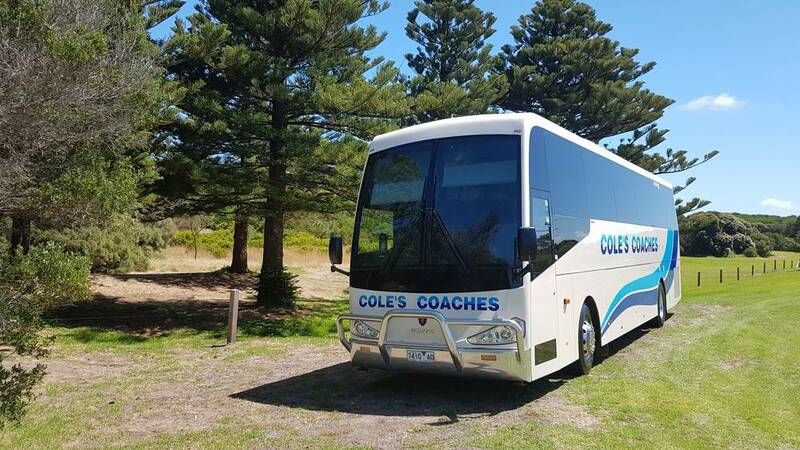 To charter a coach or bus means that Cole’s Coaches will provide a tour driver for the trip. WHO CAN HIRE OUT CHARTER COACHES & BUSES? Any person or group can charter a coach or bus? HOW MANY DAYS CAN I CHARTER COACHES AND BUSES? The vehicles can be chartered for any length of time. WHERE CAN CHARTER COACHES & BUSES TRAVEL? The vehicles can travel to most destinations within Australia, however they cannot be driven on roads deemed unsuitable for large vehicles. Other restrictions may apply eg. bridges etc. DO I NEED TO PAY A DEPOSIT ONCE A BOOKING IS CONFIRMED? Yes. A $200 deposit is usually required to secure the booking. A security bond may also be imposed at the discretion of Cole’s Coaches. HOW DO I PAY FOR THE HIRE OF THE VEHICLE? An invoice will be sent to you either prior to your travel date or after you return. CAN ACCOMMODATION, ATTRACTIONS, MEALS, EVENT TICKETS, COOKS/GUIDES AND ALTERNATIVE TRANSPORT BE ORGANISED BY COLE’S COACHES? WHAT OTHER EQUIPMENT DO COLE’S COACHES HAVE AVAILABLE FOR USE ON CHARTER TRIPS? Cole’s Coaches have the following available for use on charter trips; Fully equipped safari trailers, camping tents, BBQ’s, tables and chairs, hot water units, cutlery and crockery and large eskies. Charges may apply for the use of some of the equipment. IS THE CONSUMPTION OF ALCOHOL ALLOWED ON THE VEHICLES? BYO laws on buses have changed. Please call our office for clarification. ARE YOU ALLOWED TO SMOKE ON THE VEHICLES? No. Smoking is not permitted on any of the vehicles and is prohibited by law. IF CITYLINK IS USED WHO PAYS FOR THIS? Vehicles can be fitted with an e-tag device. Prior to travel, please advise if you will be using Citylink. The charges will be added to your booking. WHAT HAPPENS IF THE VEHICLE HAS BEEN DAMAGED? If the vehicle has been damaged through the negligence of any persons in the group, the hirer will then be responsible for any repair costs.